“The creative application of scientific principles to design or develop structures, machines, apparatus, or manufacturing processes, or works utilizing them singly or in combination; or to construct or operate the same with full cognizance of their design; or to forecast their behaviour under specific operating conditions; all as respects an intended function, economics of operation and safety to life and property”. i. Chemical Engineering – The exploitation of chemical principles in order to carry out large scale chemical process, as well as designing new speciality materials and fuels. ii. Civil Engineering – The design and construction of public and private works, such as infrastructure (roads, railways, water supply and treatment etc. ), bridges, dams, and buildings. iii. Electrical Engineering – a very broad area that may encompass the design and study of various electrical & electronic systems, such as electrical circuits, generators, motors, electromagnetic/electro mechanical devices, electronic devices, electronic circuits, optical fibers, opto electronic devices, computer systems, telecommunications and electronics. iv. Mechanical engineering – The design of physical or mechanical systems, such as power and energy systems, aerospace/aircraft products, weapon systems, transportation products engines, compressors, power trains, kinematic chains, vacuum technology, and vibration isolation equipment. ABET is the recognized accreditation authority granting universities that offer education in engineering and technology the right to confer degrees. Degree programs include a Bachelor's degree in engineering or sciences (4 years), to a Master's in the same field (adding 2 or 3 years depending on the university), to a Doctor of Engineering which entails completing original research. Engineering Doctors often go on to teach in schools of engineering. Some engineering schools have agreements with 2-year colleges whereby the college provides the initial engineering education, and the engineering school automatically admits students for their last 2 years. In addition, many engineering schools have arrangements that allow students who spend 3 years in a liberal arts college studying math/physics subjects and 2 years in an engineering school studying core subjects to receive a bachelor’s degree from each school. Some colleges and universities offer 5-year master’s degree programs. In the UK, most engineering courses take 3 years for an undergraduate bachelors(BEng) and a 4 year period for an Undergraduate Masters. Students who read a 4 years engineering course are awarded an Masters of Engineering (as opposed to Masters of Science in Engineering). All accredited engineering courses are assessed and approved by the Professional Institutions reflecting the subject covered; IMechE, IET, BCS, ICE, IStructE etc. The degree then counts in part to qualifying as a Chartered Engineer after a period (usually 4–8 years) of structured professional practice, professional practice peer review and, if required, further exams to then become a corporate member of the relevant professional body. The term 'Chartered Engineer' is regulated by Royal Assent its use is restricted only to those registered; the awarding of this status is devolved to the professional institutions by the Engineering Council. The B. Eng may be registered as an "Incorporated Engineer" by the Engineering Council after a period of structured professional practice, professional practice peer review and, if required, further exams to then become a member of the relevant professional body. 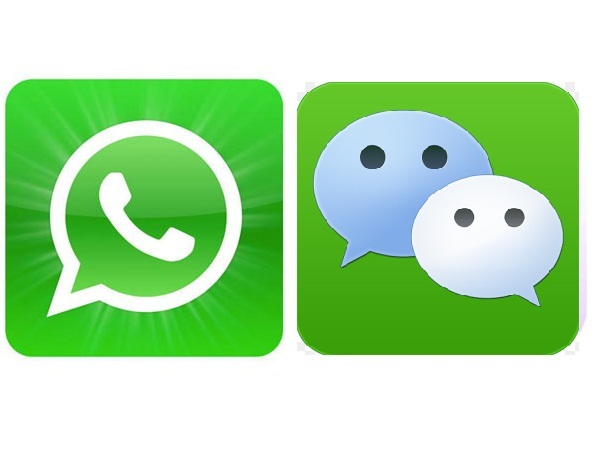 Engineering in Mainland China is becoming popular for international students. The programs field taught in English is getting more and more wide, like Electronic Engineering, Electrical Engineering, Telecom Engineering, Civil Engineering, Mechanical Engineering, Aeronautical Engineering, Computer Engineering, Architecture, Software Engineering, Chemical Engineering, Environmental Engineering, Industry Engineering, Material Science and Engineering, Petroleum Engineering, Marine Engineering and Navigation Technology. Undergraduate programs in Engineering (in English) are normally of 4-year duration. i. 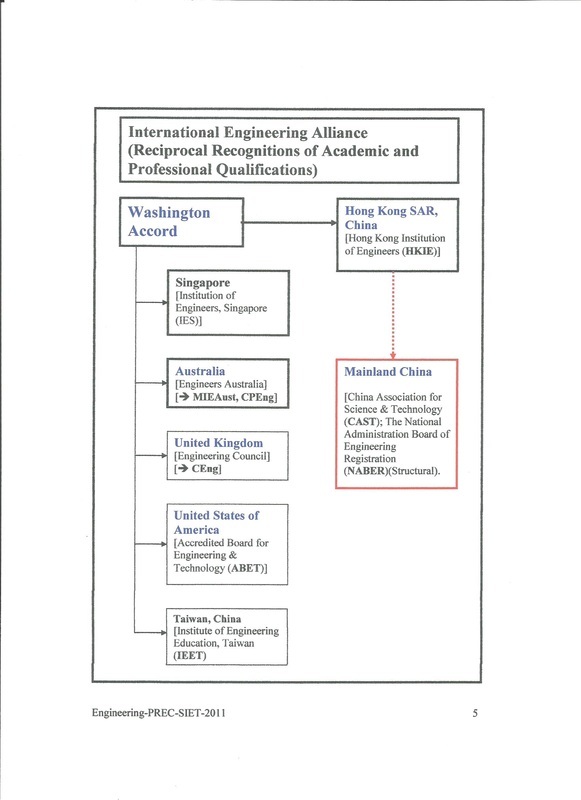 The Washington Accord signed in 1989 was the first - it recognizes substantial equivalence in the accreditation of qualifications in professional engineering, normally of four years duration. ii. The Sydney Accord commenced in 2001 and recognizes substantial equivalence in the accreditation of qualifications in engineering technology, normally of three years duration. iii. The Dublin Accord is an agreement for substantial equivalence in the accreditation of tertiary qualifications in technician engineering, normally of two years duration. It commenced in 2002.